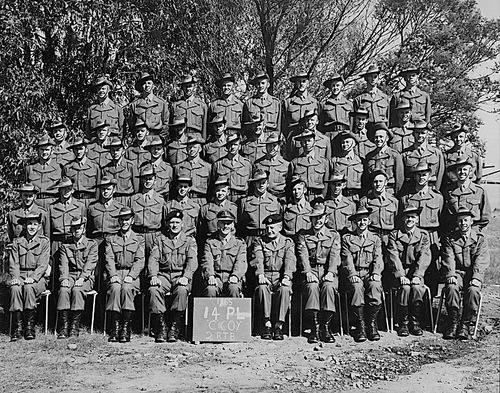 2 RTB B Coy 10 Pl 1965 . 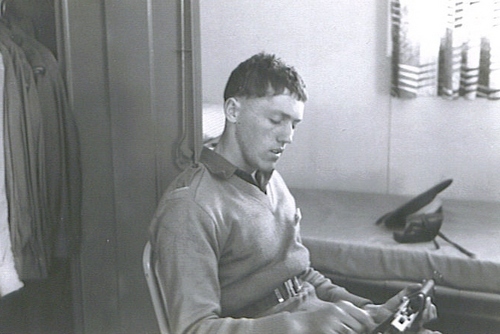 Sent IN ~ John Ettridge. 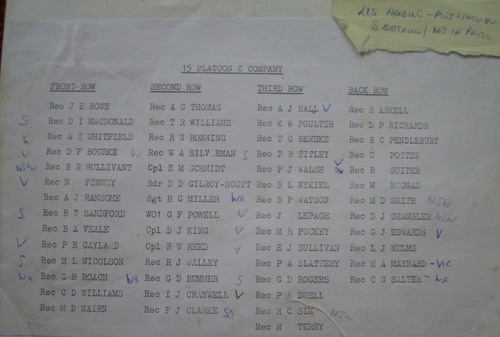 1 Intake Battallion March out parade Sept 1965 Pucka. 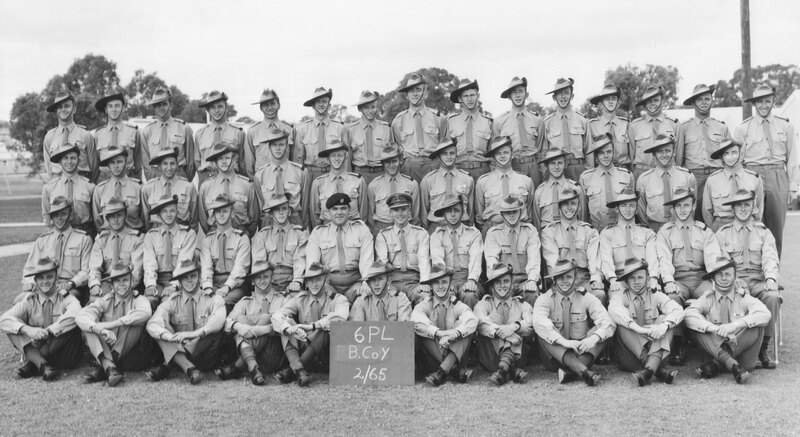 It included 5 companies and E company had seven platoons but only 25 platoons could fit on the parade ground. 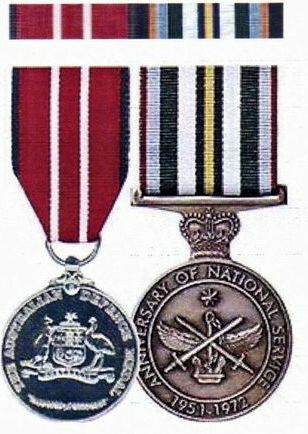 The VIP (bottom Right) is the Hon. Dr. Forbes, Minister of the Army is the reviewing officer. 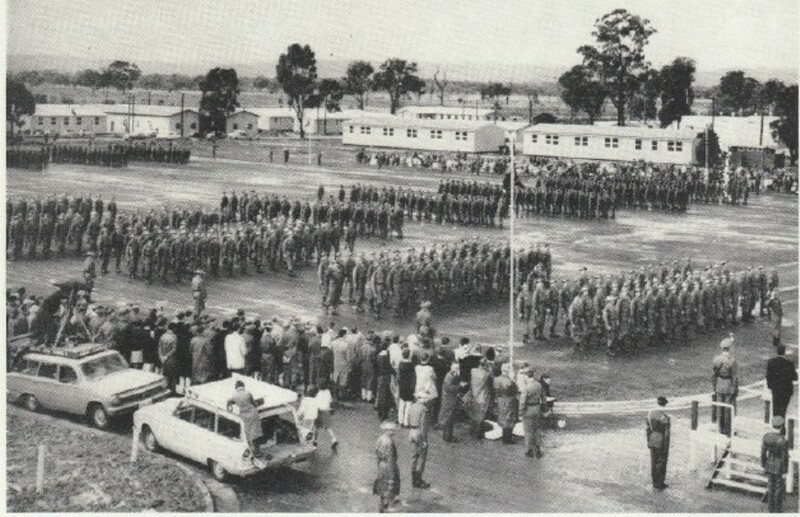 The parade took place during September 1965. Because of 5 companies we had to use two parade grounds. 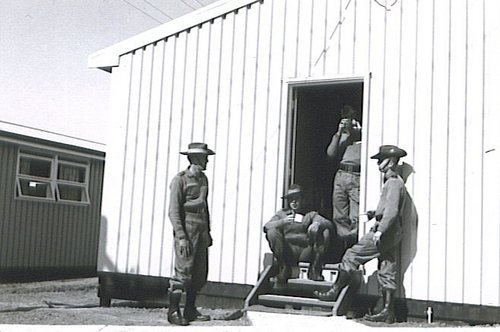 E company was only for two intakes as 3TB was established in 1966 and the other NS men went. 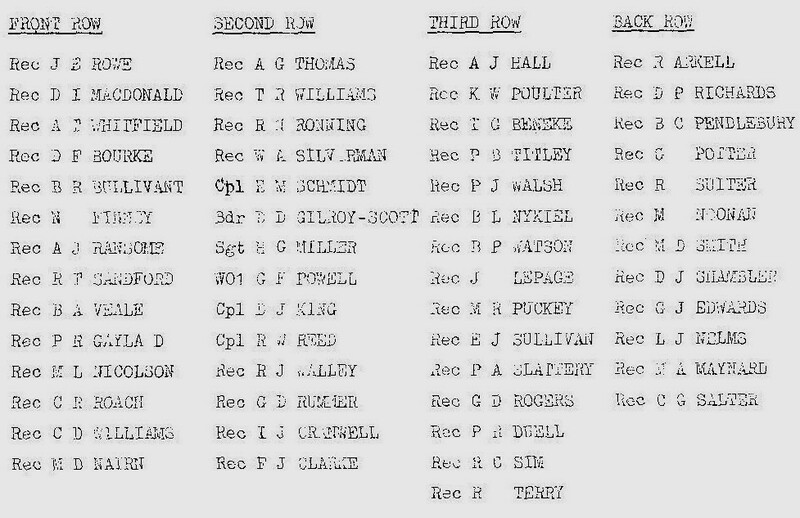 As from 1966 onwards 2RTB only had 4 companies and we used only one parade ground and then faced toward the batallion headquarters. 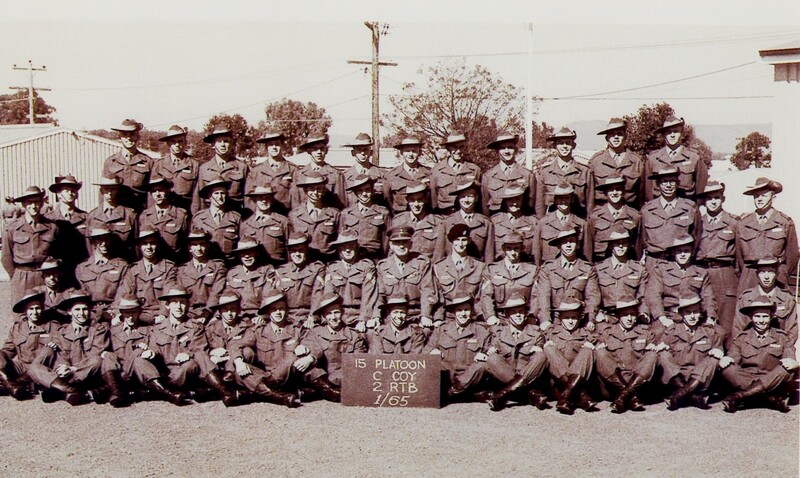 2 RTB 14 Platoon C Coy Pucka 1965. 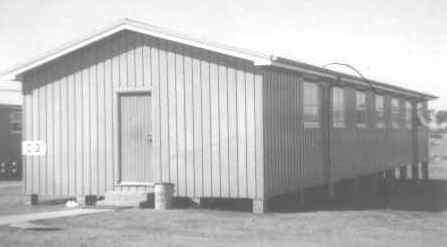 Sent IN ~Des Macdonald 4717394. 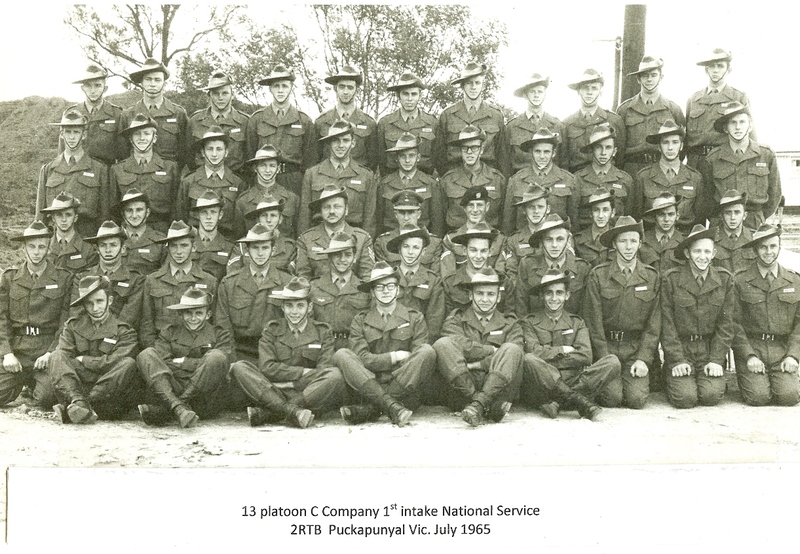 2 RTB C Coy 13 Platoon 1st Intake July 1965 Pucka. 2nd Row.L to R.2nd Rod Besier.~ Other names I can recall that are in the photo are Tim Ainsworth of Victoria & Marian Tomas of Western Australia. 2 RTB 1st Intake June 1965 Pucka Rifle Range. 2 RTB 1 Intake Pucka June 1965. 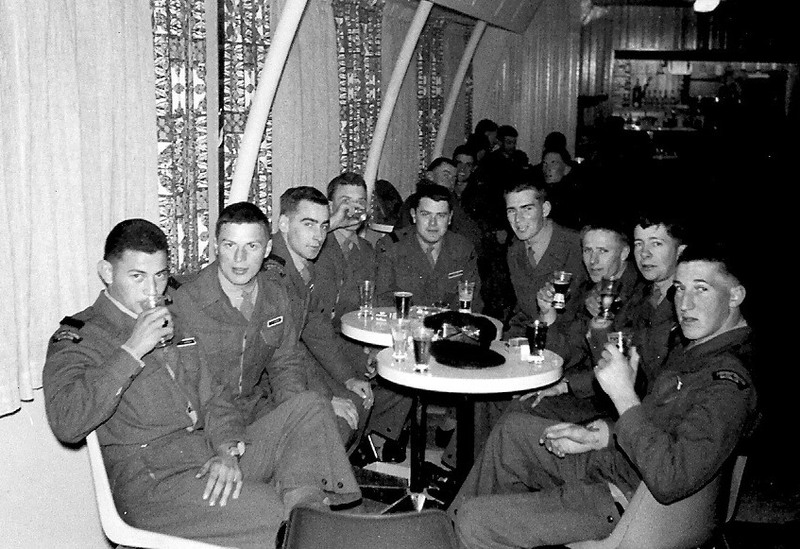 Group of nashos enjoying a beer (or two) at the wet canteen". 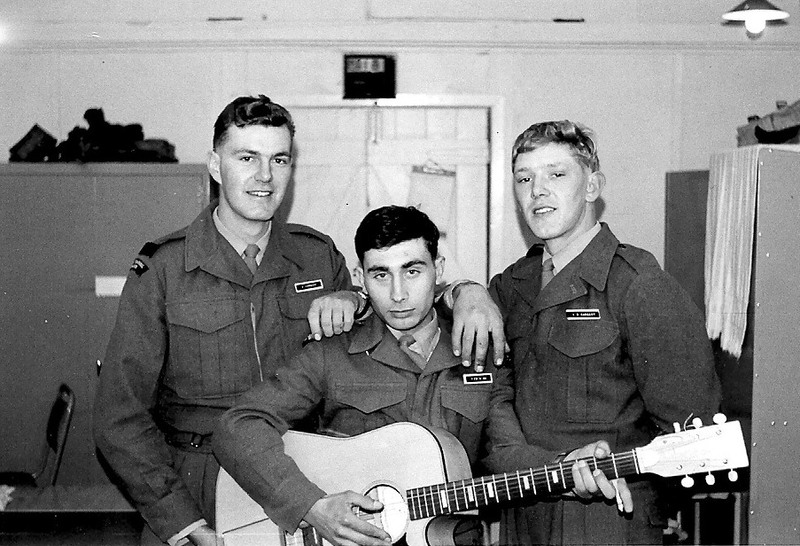 2nd from left is John or "veggie" was his nickname. L To R. Rod Cordery.?. 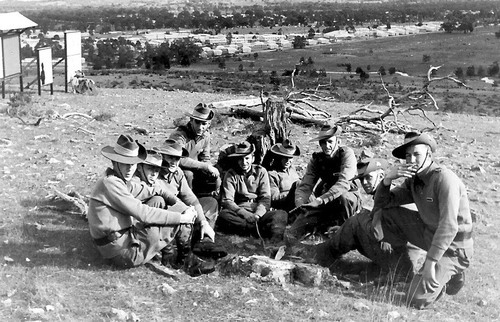 Ray Carberry. 2RTB 6 Platoon B Coy 2 Intake 1965 Pucka. 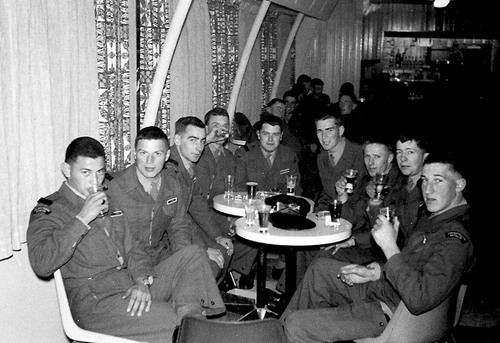 Sent IN~All photos from the late Don Campbell the nco in photos. 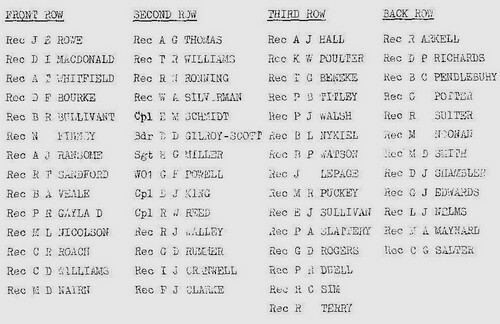 2RTB 6 Platoon B Coy 2 Intake.2 Sect.1965 Pucka. 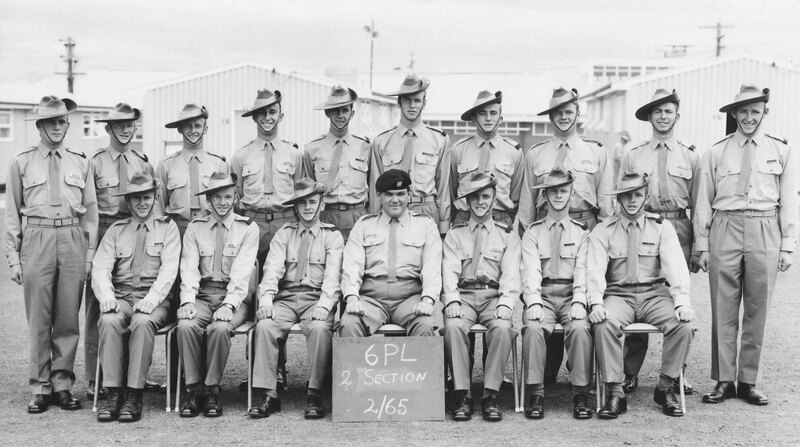 Barry was allocated to RAA and served in Vietnam with the 1st Fd Rgt as a temp Bombardier. 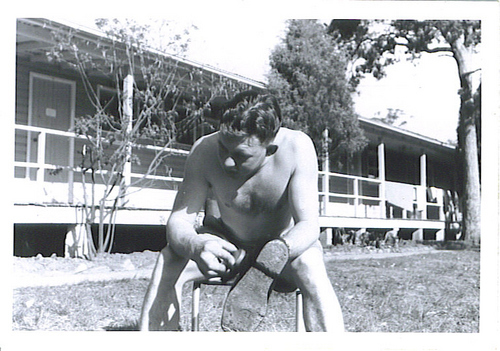 School of Military Engineering, Casula, around October 1965, Sapper Dave Offszanka working on the boots. 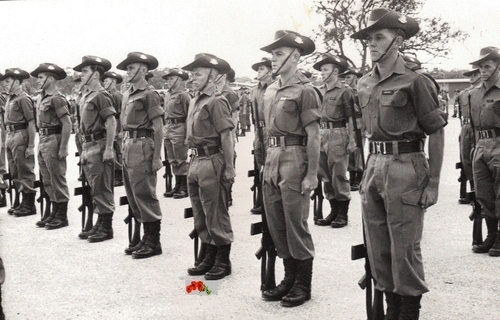 Dave was posted to 22 Const Sqn RAE and served in Borneo with the squadron, 1966, during Confrontation. front row: Wayne Brooking and Ross Charlton. We’ve also learnt that the Platoon Sgt. Alan Singh passed away.RIP. 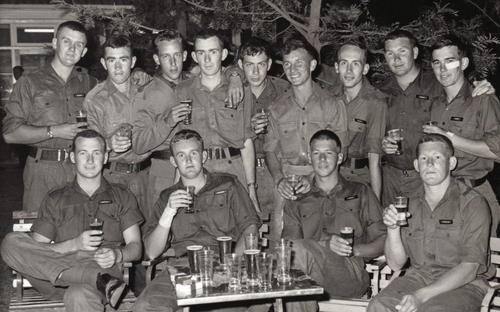 Back Row L/R~Wal-Neil-John-Bob-Kevin-?-Jim-John-Noel-David Sandoe.Platoon Sgt.was Alan Singh.